Sample the Sierra wouldn’t be possible without support from El Dorado County Wines, a Sample the Sierra festival napkin sponsor! 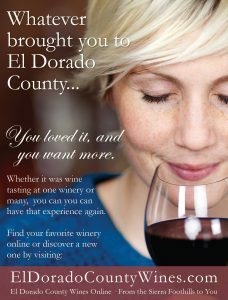 El Dorado County Wines has over 26 wineries (including multiple that will be at Sample the Sierra) and 120 wines to choose from online, many of which are award winners. When searching online, you can sort by winery or by grape, and watch a video from the winemaker discussing the wine you are about to select! 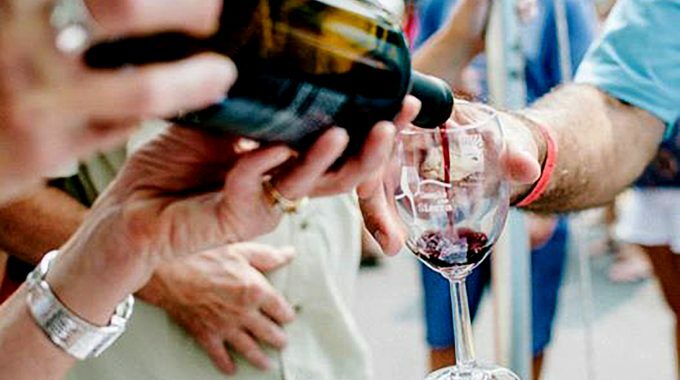 Whether you are selecting your favorite winery or finding a new one, El Dorado County Wines will have something you’ll love. You can order a variety of wines and they’ll arrive together in one box. Click here to see Sample the Sierra’s selection of wineries. Sample the Sierra early bird tickets are still available online here.